See the questions that we frequently hear from our wedding & event customers and thorough answers to those questions. Request Your Free Consultation Here. Around 10 months before the wedding would be ideal, but we can begin planning as far out as 1 year to 2 months before the wedding date. Consultation times are scheduled on a case to case basis but are generally held on Mondays-Saturdays from 9am-3pm. During wedding season, our consultation availability is limited so that our talented designers can devote their time to make sure every wedding is created with utmost care and attention to detail. If you live out of state or are unable to meet in person for your consultation, we will be happy to speak with you over the phone. Within a week after the consultation. We will travel as far as our clients need us to. 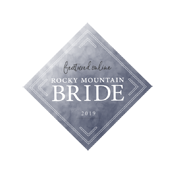 Boulder Blooms is here to serve you, our brides & event planners. Your bid will include a list of recommended flowers for your wedding based on your colors, styles and seasonal availability. Ask your designer about any special requests and we will do our best to locate a source! Your wedding consultant will work within your budget, and offer ideas to avoid going over budget that still coexist with your color scheme and design, for example repurposing flowers from the ceremony into reception, offering less expensive flowers that look similar to the bride’s first choice of flowers, or using expensive flowers sparingly, and recommending flowers that are in season to avoid paying high prices for out of season flowers. 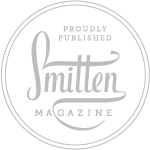 We have a plethora of photos on our website from previous weddings, professional photos & photo shoots. See our Bridal Bouquet Portfolio, Wedding Design Portfolio or Event Design Portfolio. You can see more of our work on our Pinterest & Instagram pages. CAN I SEE MY FLOWER DESIGNS BEFORE THE WEDDING DAY? We do offer mock-ups, however, they are an additional fee. Mock -up fees are priced at retail value of the flowers plus a labor cost and they become yours to keep after the preview. We can do centerpieces, bouquets, boutonnieres, and anything else you may like to see. In order to represent the flowers that are seasonally appropriate, the mock ups must be done fairly close to the wedding date so that we can minimize variation between the preview and day-of presentation. WILL YOUR COORDINATE WITH MY OTHER VENDORS, EX. VENUE, CAKE DECORATOR? Yes, Boulder Blooms will happily coordinate with other vendors if your event delivery & setup call for it! Yes! Boulder Blooms carries an expansive event rental inventory that includes Lanterns, Vases, Arches, Votives, Chandeliers & much more! Please ask your consultant for pricing & availability. Once you select Boulder Blooms as your event florist, we will ask you to sign a contract & submit a $100.00 deposit. The remainder of your payment is due three weeks prior to your event. Payments can be made in cash, check or credit card. If a contract and deposit are paid within 5 business days of receiving your personalized wedding bid, you will receive 5% off of your final invoice. The deposit made when you sign your contract is not refundable. This is due to the time investment in the planning of your event made by Boulder Blooms that begins as soon as your contract is signed. Your event can be cancelled & all payments (other than your deposit) returned up until the point when your flowers & material orders are placed. These orders are placed three weeks prior to your event. No refunds are possible within three weeks of your event. Signing a contract and paying a deposit will hold your wedding date. If we are the florist for you, we suggest holding your date as soon as possible. Changes can still be made to the bid after the deposit and contract have been provided. Changes can be made to the bid up to 3 weeks before the wedding.